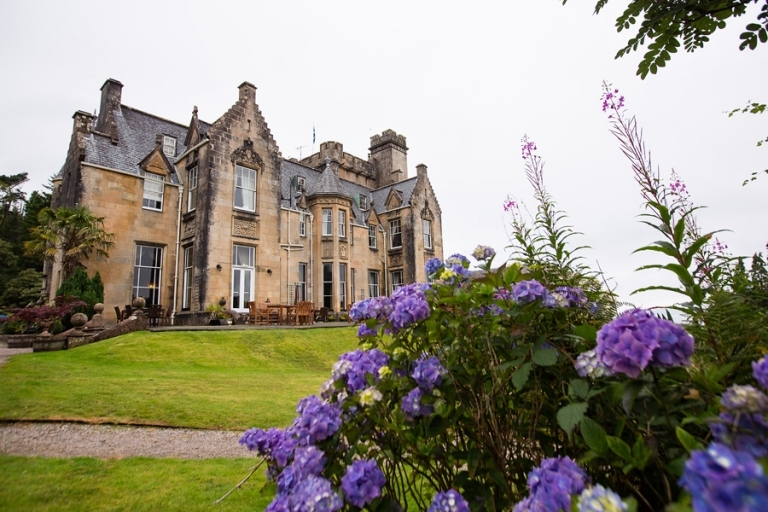 Built in 1837 along the shore of Loch Fyne in Tarbert, Scotland, Stonefield Castle checked the box for one of my bucket list items: stay overnight in a castle. I didn’t find a clawfoot tub in the bathroom and we didn’t see any ghosts during our visit, but Chris and I felt like king and queen staying in the stately guestroom with four-poster bed and separate sitting room. We didn’t even spend a full 24-hours at the castle, but it was a nice resting point between our long weekend on Islay and our city adventures ahead in Edinburgh. More on Scotland coming soon! Susan - Thanks for reading, Amanda! I can’t wait to get to the Scotland posts!